According to the Insurance Institute for Highway Safety, Washington is statistically one of the safest states for driving, with a fatal accident rate of only 7.4 per 100,000 residents, compared to the national average of 11.6 per 100,000 residents. However, Sammamish, WA residents should still know what to do after a car accident. Finding the right injury attorney to handle your car accident claim can lead to more compensation than you might expect. 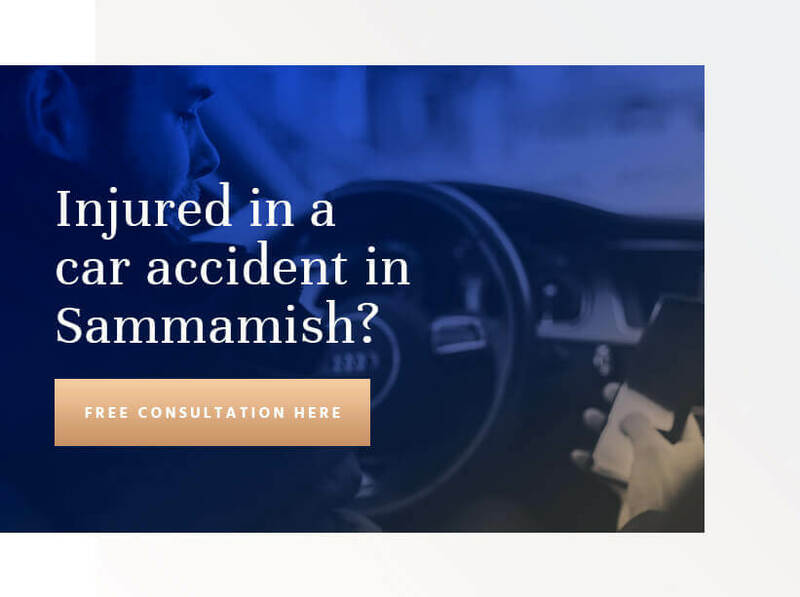 The attorneys at Colburn Law are here to help injured Sammamish residents recover after car accidents, so contact our firm today to learn more about how we can help. If another driver caused an accident with your vehicle, you can pursue a personal injury claim to recover your losses. Washington uses a fault-based system for car accidents, meaning an at-fault driver is responsible for the damages resulting from an accident. If the at-fault driver carries car insurance, then you can file a claim against his or her policy for your damages. If the other driver does not have insurance or does not have enough coverage to fully compensate your damages, you can pursue a personal injury lawsuit to recover your losses beyond what insurance covers. Duty. The plaintiff’s attorney must prove that the defendant owed a duty of care to the plaintiff. Breach. The plaintiff’s attorney must then show how the defendant breached this duty of care. Damage. The plaintiff’s attorney must prove the extent of the plaintiff’s losses. This may include documentation such as hospital bills, invoices for treatment, and testimony from relevant experts. Causation. Finally, the plaintiff’s attorney must prove that the plaintiff’s losses occurred due to the defendant’s negligence and not some other cause. Car accidents can cause serious injuries, including broken bones, severe cuts, soft tissue injuries, bruises, spinal cord injuries, and traumatic brain injuries. These injuries may require long recovery times, rehabilitation, or various types of therapy for victims to reach the maximum possible recovery. Plaintiffs can claim compensation for the immediate costs of medical care resulting from an accident as well as expected future costs of treatment. The justice system also allows plaintiffs to secure compensation for their physical pain and mental suffering. Some courts will multiply the plaintiff’s medical expenses by a certain number, typically from two to five, and then award that amount as pain and suffering compensation. Other courts will use a “per diem” rule that awards a set amount per day the plaintiff spends in recovery. Washington requires all drivers to meet the state’s minimum insurance coverage of $25,000 for bodily injury or death of a single person in a single accident, $50,000 for bodily injury or death in a single accident, and $10,000 for property damage in a single accident. Drivers have the option of purchasing additional coverage beyond this 25/50/10 minimum, but more coverage entails higher monthly premiums. Washington also follows a pure comparative negligence law. This means a plaintiff can still recover damages even if he or she is partially at fault for the accident. The plaintiff loses a portion of the case award equal to his or her fault percentage. If you or a loved one suffered injuries in a car accident in the Sammamish, WA area, the attorneys at Colburn Law can help you recover compensation through a personal injury claim. Our attorneys have handled a wide variety of personal injury lawsuits in Sammamish, so contact us today to schedule a free and confidential consultation. We will review your claim and let you know your chances of success with a lawsuit.